SUBSIDISED TRAINING FOR ANIMATION, GAMES AND VFX. Animation Skillnet provides subsidised training solutions to the animation, games and VFX sectors in Ireland through high-end, bespoke training courses that are designed and delivered by industry specialists. Animation Skillnet also organises and supports professional networking events and conferences for these sectors in Ireland and internationally. Animation Skillnet is co-funded by Skillnet Ireland and member companies. 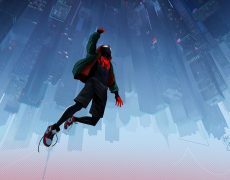 “Animation and games are creative and technically driven industries and our teams have to be constantly up-skilled in order to compete in this truly global market. 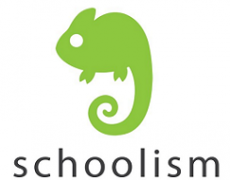 Animation Skillnet is excellent in offering innovative, relevant training designed by leading practitioners within the industry and facilitates excellent networking and sharing of ideas across the sector.” Paul Young, CEO, Cartoon Saloon. Animation Skillnet was established in July 2013 to address the current and future vital skills needs of the animation, games and vfx sectors in Ireland. Runs regular (short and long) subsidised training courses for member companies and freelancers working in the sector. These courses are and will continue to be bespoke, specialist courses designed and delivered by industry professionals to address the needs identified by industry. Offers subsidised (up to 30%) in-house training solutions to companies (for current staff or new recruits). The definition of training that qualifies for the subsidy can be broad and can include on-the-job training, placements and networking. Offers subsidised rates to high level personnel in studios to attend key international events (conferences/markets etc.) such as the Kidsceen Summit, the Children’s Media Conference and Cartoon Forum. Funds, organises and/or supports key conferences/networking events for the sector, including the Animation Dingle, the Animation Art Show and Women In Animation Ireland to name a few. 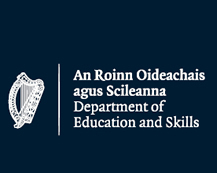 Runs the 6 month Animation and VFX Graduate Traineeship Programme for the animation and VFX sectors in Ireland in collaboration with Screen Skills Ireland. Works closely with key stakeholders like Animation Ireland, VFXAI, IMIRT, BAI and Screen Ireland to ensure our offering is relevant and meeting the needs of the sector. Is working with others to develop a range of work-based learning initiatives for the sector including Traineeships, Apprenticeships and Mentoring programmes. 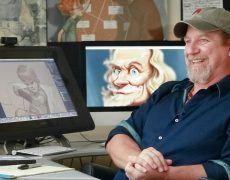 Driving Retention in the Animation Industry – Case Study | Skillnet Ireland from Skillnet Ireland on Vimeo. The promoting agency for Animation Skillnet is DublinBIC. Dublin BIC provides the most comprehensive range of practical supports available to entrepreneurs in Ireland. Nikki Lannen, CEO at Warducks Ltd. 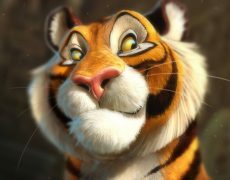 Animation Skillnet primarily focusses on supporting those in employment within the Animation sector/region. Whilst our key focus is on the needs of member companies, we also offer a small number of fully-funded programmes for jobseekers, subject to eligibility criteria and places being available on the programme. We offer a limited number of FREE places to those who are unemployed and seeking to increase their employment prospects through up-skilling in relevant training. If you are currently unemployed, you may be eligible to attend training with Animation Skillnet with no charge or impact on your social welfare payments or benefits (for those who are in receipt of such payments). Click eligibility criteria for more details. Several other Skillnet Networks participate in the Skillnet Ireland Employment Activation programme. This initiative is designed exclusively for unemployed people and includes free training in skills in demand by companies combined with direct access to employers through meaningful work placements. 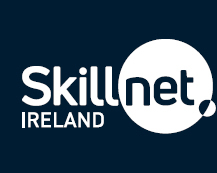 For information on other Skillnet Networks offering free training programmes for those seeking employment, see the Skillnet Ireland website. Enhancing management capacity, particularly in SMEs, is a national policy imperative and a major priority for Skillnet Ireland and our networks. The suite of Skillnet Ireland Management Development Management Programmes are available to help business owners and managers improve business performance and enable businesses achieve better results.